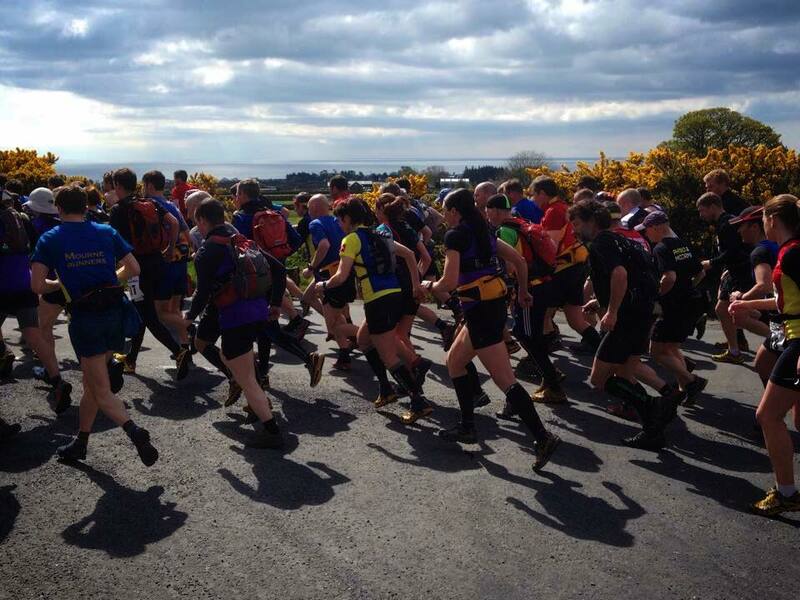 Annalong Horseshoe 2015 – Race Report | B.A.R.F. At the head of the field, last years victor Jonny Steede (Ballymena Runners) was leading the way to Chimney, with current championship leader Seamus Lynch (Newcastle AC) keeping in close contact. As the runners reached the lower slopes of Chimney, the rejuvenated heather overgrowth was forcing even the leading runners to slow to a walk. Steede and Lynch had broken away from the rest of the field at this stage but were side by side through the checkpoint. In the ladies race, Diane Wilson (Dromore AC) was hoping for a hat-trick of wins but was just returning to competitive racing after a recent injury lay-off. Shileen O’Kane (Lagan Valley AC) has been dominant in the early season races and was in front during these early stages. At the head of the field, Lynch and Steede had opened up a gap on the rest and were racing neck and neck through Commedagh, Cove and Lamigan checkpoints. O’Kane had gradually moved ahead from Wilson and was concentrating on maintaining her lead. At the final summit checkpoint on Binian, Lynch and Steede were still locked together but on the rough descent, Lynch slowly eeked out a small lead over Steede. Lynch managed to hold off Steede on the final road section to win in a time of 2:06, 30 seconds ahead of Steede. Sam Herron, last years runner up, was third in a time of 2.11, before Clive (MV40), ahead of Gary, won the the battle for Bailey family honours. Dale Mathers (MV50) finished in 6th position, just ahead of the fast finishing Neil Carty (MV45). 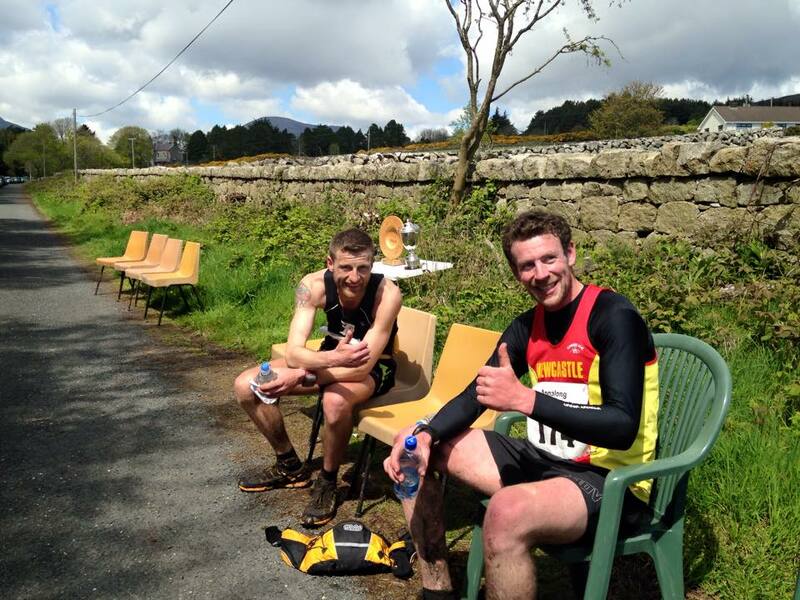 David McNeilly, Alex Brennan and John Trainor completed the top 10. 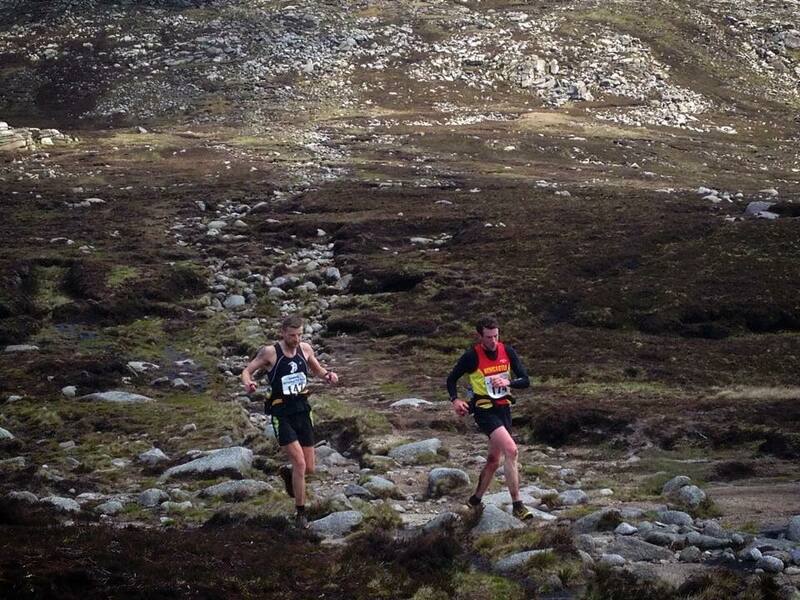 Mourne Runners were the top team, taking 3rd, 4th, 5th and 6th places. 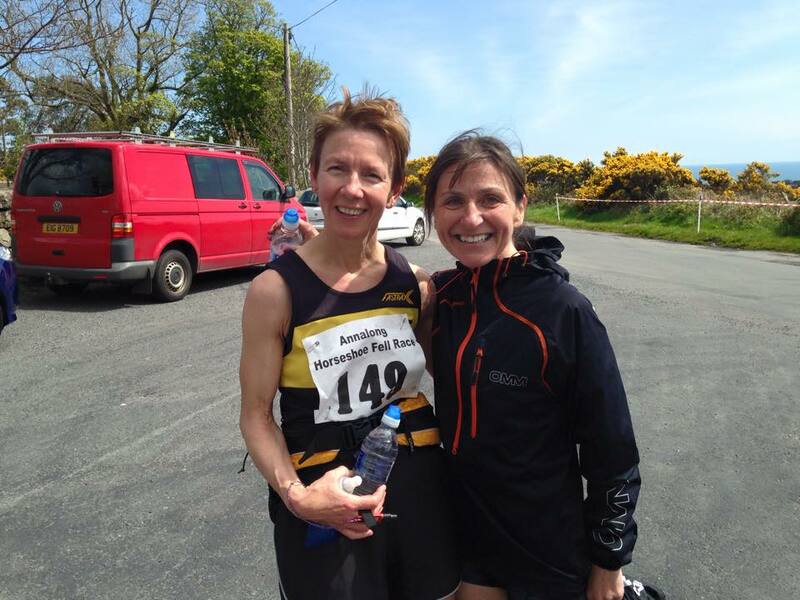 In the ladies race, Shileen O’Kane won in a fast time of 02:34 (17th place overall), ahead of Diane Wilson in 2:45. Jacqueline Toal (BARF) was third lady in 2:57. More than half of the field finished in under 3.00 hours, widely regarded as the benchmark time for this course. This includes the evergreen Jim Patterson (MV65), who had to put in a big effort over the final summit to edge ahead of Stewart Cunningham (MV60). Congratulations to Ian Taylor, BARF (MV65), who completed his 32nd Annalong Horseshoe fell race. 70 out of the 72 starters finished, with a range of cuts and bruises evident amongst the finishers, as the roughness of this granite and basalt mountain range took its toll. Desi O’Hagan finished 11 seconds outside the three hour mark, probably due to the fact that he had fallen and dislocated his little finger at both joints. He stopped to administer his own first aid by popping them back into place, then hailing a walking group, who strapped his fingers together. All just after the first checkpoint and more than two hours to the finish. Many thanks to the B.A.R.F. club and all their volunteers for organising a safe, successful race and the post race catering, enjoyed by all; thanks to NIWater for permitting access to their property; thanks to NIMRA for the supply of their SI Units and safety equipment but thanks to all the runners and supporters for turning up and supporting this classic fell race. We’ll be back again next year, 11.00am on the second Saturday in May.